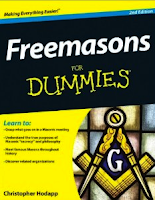 Discussion in 'Masonic Blogs' started by My Freemasonry, Dec 29, 2012. 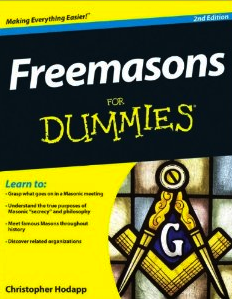 The new, revised edition of Freemasons For Dummies hits stores and Amazon.com on Monday, January 29th, 2013. If yours is dog-eared and worn, or has been absconded by a well intentioned brother who fully intended to return it to you, here's a chance to score a new copy, complete with a spiffy new cover, which I took at the Grand Lodge of Washington, D.C.'s headquarters several years ago. Thanks to everyone who has made the book a hit, almost from the start.